I hope any passing Indians will forgive me sullying the name of their delicious crispy snack, which I've probably butchered somehow. 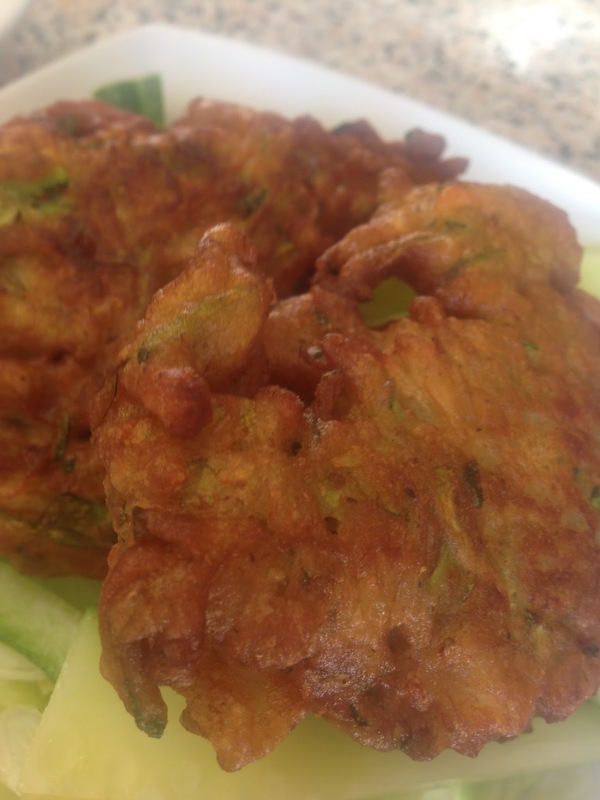 If it makes anyone feel better, we can call them Indian spiced fritters. 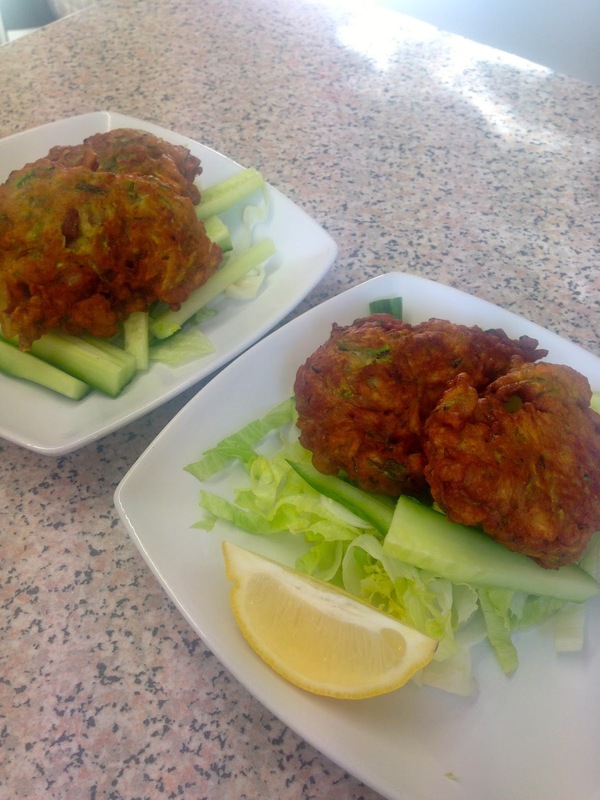 That being said, they are delicious, and one large courgette made nine sizeable patties. We ate two each before dinner and had to wait an hour and a half before attempting a small bowl of curry! Grate a large courgette into a sieve, sprinkle in salt and leave for at least an hour to drain of moisture. Add all the other ingredients into a bowl with the courgette, using enough flour to bind the mixture til it's sticky and holds together enough to fry. Fry in plenty of oil until brown, crispy and delicious!